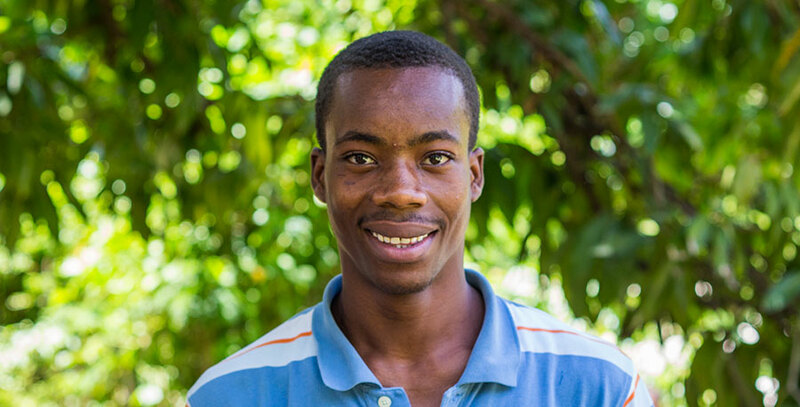 Vanito came to the Fond Blanc Orphanage so that he could attend school and is now in the 2nd grade. He thinks that his education is very important and he wants to grow up to be someone. He would really like to be a nurse. He would also like to learn how to drive! He came to live at the orphanage in March of 2013. Both of his parents and his six siblings all live in the village of Fond Blanc and he gets to see them often. Vanito is in charge of the youngest boys room. He makes their beds and puts them to bed at night. He also cares for several of the young boys here, making sure they bathe and do their homework. He loves to attend church because the word of God is nourishing to his soul. He enjoys listening to Pastor Smail and learns a lot from him.